But, graphs or no, the bottom line is this: If the point of starting your business was to find fulfillment and happiness in doing something you love, you should feel something similar about the end product. This “end” result is just as important as the money you make along the way weight loss quick. 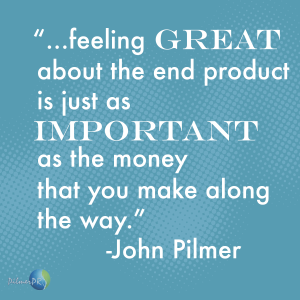 Want to feel good about your own company’s “end result”? Here are 7 steps to help you create a business you can be proud of. If achieving happiness is not tantalizing enough for you to become more socially responsible, consider instead the stakeholders of your company: your investors, channel partners, customers, employees and surrounding community. How you operate affects the lives of each of these groups. So, the goals you set should take all of them into account. Profits are important; that’s a given. But, what else is important to you? Perhaps even more crucial is, what is important to your customers? For General Mills, the future of education is what drives the company — a great mission choice, since many cereal and snack food decision-makers happen to be parents. Whatever your mission, it needs to be something you are honestly passionate about, or it will never stick. 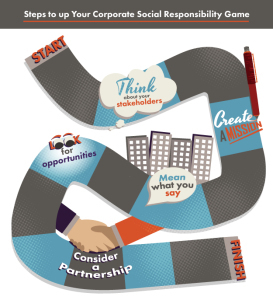 To see the rest of this awesome list on how to up your corporate social responsibility, visit entrepreneur.com , where it was originally published. For help with your Corporate Social Responsibility PR, contact us.